Stevonnie telegraphing one of Steven Universe’s biggest secrets. 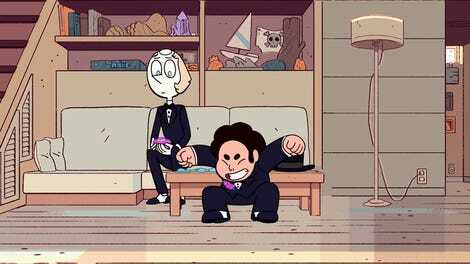 Steven Universe is, without a doubt, one of the most groundbreaking television shows airing right now because of its strong messages about queer positivity, inclusion, and the power of love. As much of an impact as the show has had on its fanbase, it also helped creator Rebecca Sugar become more comfortable with her own identity. 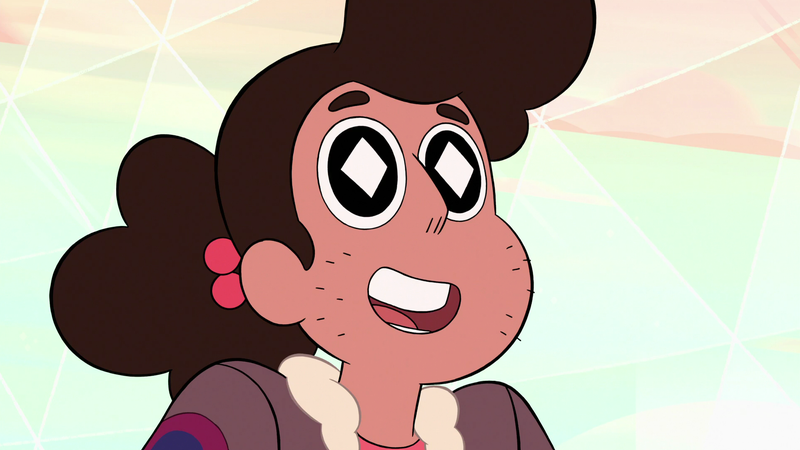 What’s so fabulous about Steven Universe’s approach to gender with characters like Stevonnie, who’s a fusion composed of a teenaged boy and girl, is that it puts the emphasis on humanizing its characters through actions rather than overwrought explanations. Given how often the argument is made that queer subject matter is too “complicated” for younger audiences to understand, it’s incredibly important and impressive how easily Steven Universe disproves that idea.